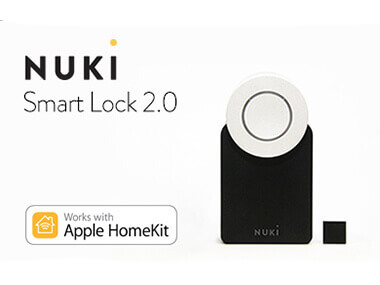 Conveniently opening your apartment door without the need for a key – thanks to the Nuki Smart Lock, this is no longer a distant dream. Forgotten your keys? No problem! Nuki gives you the flexibility you need, and even allows you to let your friends into your apartment in case you’re running a few minutes late. However, if you live in an apartment building, there is still the hurdle of the main entrance door. Which really isn’t that smart to be honest. In our vision of an intelligent access system, smart living is something that starts even before you enter your home. 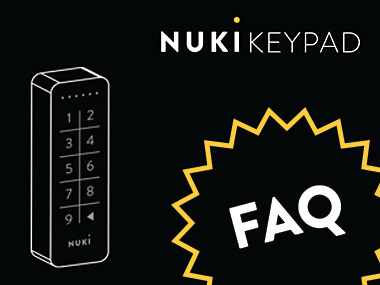 It is for this reason that, in recent months, we have focused our energy on the next step towards a completely keyless lifestyle: the Nuki Opener. The Nuki Opener transforms your existing intercom system into a smart door lock and allows you to live a completely keyless everyday life with just one app – embedded in a unique ecosystem of smart options – with Nuki. In the future, simply have your parcels delivered to your apartment door, or – in combination with the Nuki Smart Lock – have them brought directly to your apartment. 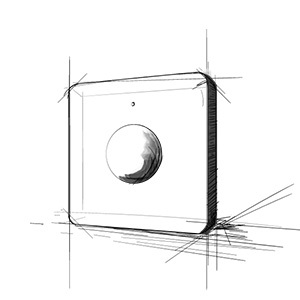 Like the Smart Lock, the Nuki Opener is designed as a retrofit solution and can be installed yourself within 15 minutes. The Nuki Opener is expected to be released in the summer of 2019. The Nuki Opener compatibility check is already available for you to try out now.. Nerd? Designer? Smart Home Enthusiast? Vermutlich von allem Etwas. Mich faszinieren neue Technik, andere Denkweisen und Katzenvideos. Trekkie? Warsie? 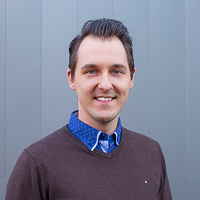 30:70 würde ich sagen - Hauptsache jedoch nicht Schwarz-Weiß, wobei selbst das im Interieur-Design etwas Anziehendes hat. 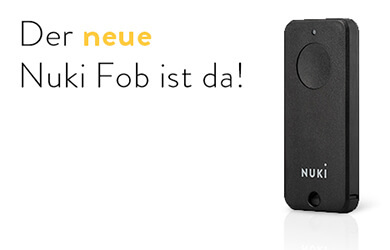 Der neue Nuki Fob ist da!